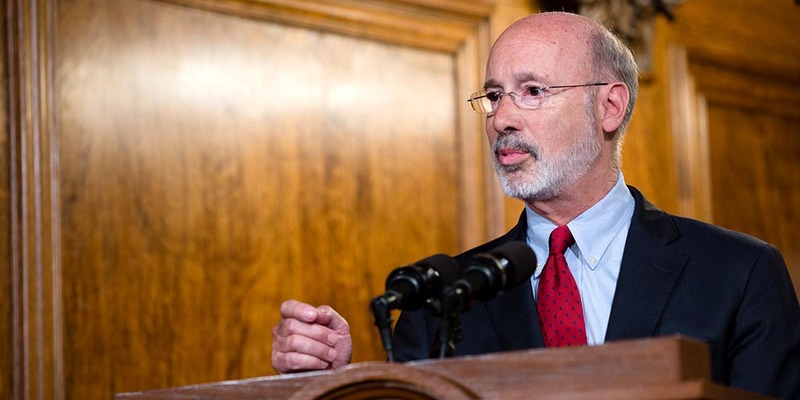 Harrisburg, PA – Governor Tom Wolf today again urged President Trump to protect Pennsylvania refinery workers by reforming the Renewable Fuel Standard (RFS) in the wake of the president directing the Environmental Protection Agency to benefit ethanol producers in other states. The Trump Administration has repeatedly ignored calls to support two major refiners in Pennsylvania that are struggling to remain profitable due to the burden of the RFS on their operations, even as it has taken numerous actions to benefit ethanol producers. The governor also announced that he will be filing an update to his prior petition to the U.S. Environmental Protection Agency, again requesting that the EPA administrator exercise waiver authority due to the economic harm the RFS standard is imposing on the region. The governor will be updating the petition with a recent study noting that the number of East Coast refineries has dropped from 16 to 8 over the last two decades, and production has fallen by over half over the same period. The report concludes that if the Trump Administration does not take action, the RFS requirements are likely to substantially exacerbate the financial difficulties of these refiners, potentially pushing profitable refiners into unprofitability. In Pennsylvania, Philadelphia Energy Solutions employs approximately 1,500 workers and Monroe Energy employs nearly 500 workers. According to a Pennsylvania Department of Labor and Industry study, these direct jobs support over 35,000 indirect jobs in Southeastern Pennsylvania. Governor Wolf has directly contacted the Trump Administration multiple times regarding this issue. In October 2017, Governor Wolf sent a letter on this topic to President Trump. In November 2017, he personally appealed to then EPA administrator Scott Pruitt. No action has been taken to date.